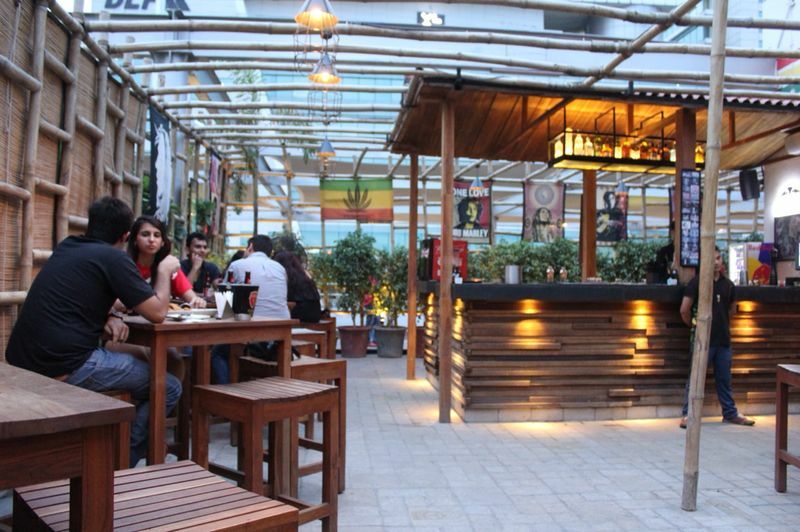 This HKV import Caribbean Lounge is a big hit at DLF Cyber Hub Gurgaon, as the name suggest it’s inspired by the Rastafarian movement and the complete décor is done with Red, Green, yellow and Gold. With bigger and better sitting area this outlet glitters with lights and you can hear the typical Bob Marley music from across the floor. In short “Chill” is the word you can use while sitting here. The food is a mix of European, Caribbean and Thai. 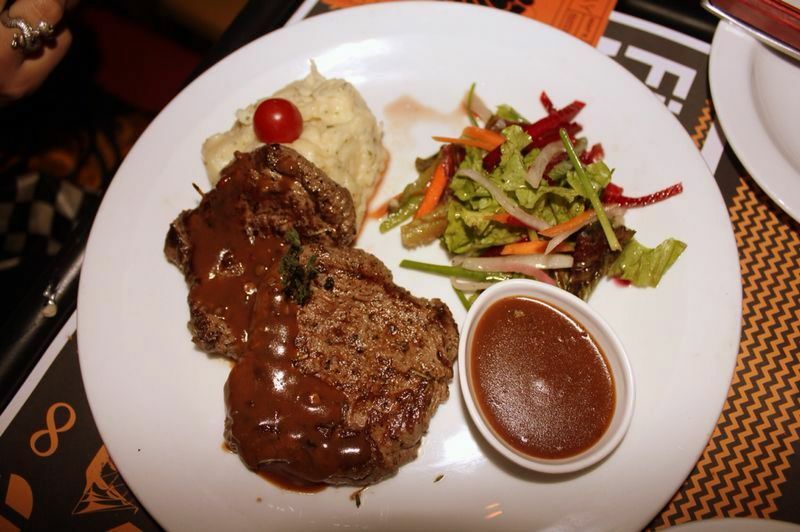 You can choose from their food menu the authentic Jamaican and twisted in their own way Mexican delicacies. The bar is another highlight of this place, from cocktails to assorted beer options and from wine to scotch you name it and they have it. The place is divided into three sections, two open lounges and a covered lounge. 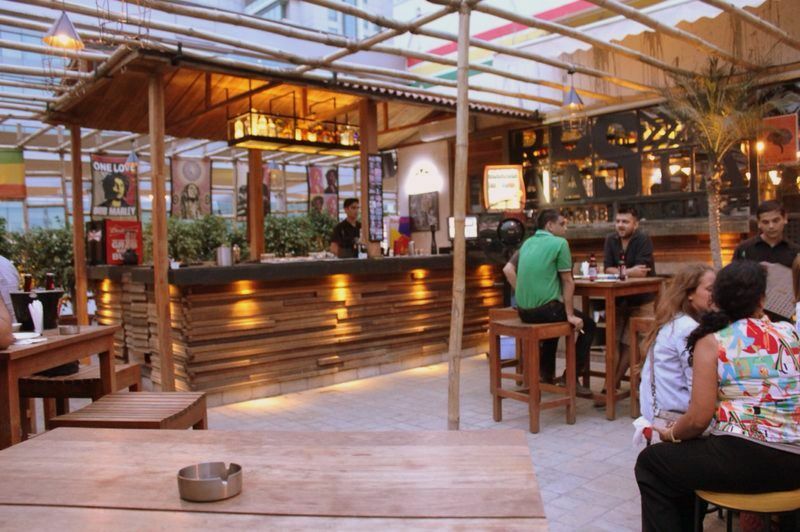 You can groove to the music or just relax and spend time with your friends, also the interesting part about one of the outer areas is the separate bar counter they’ve for the people sitting outside. 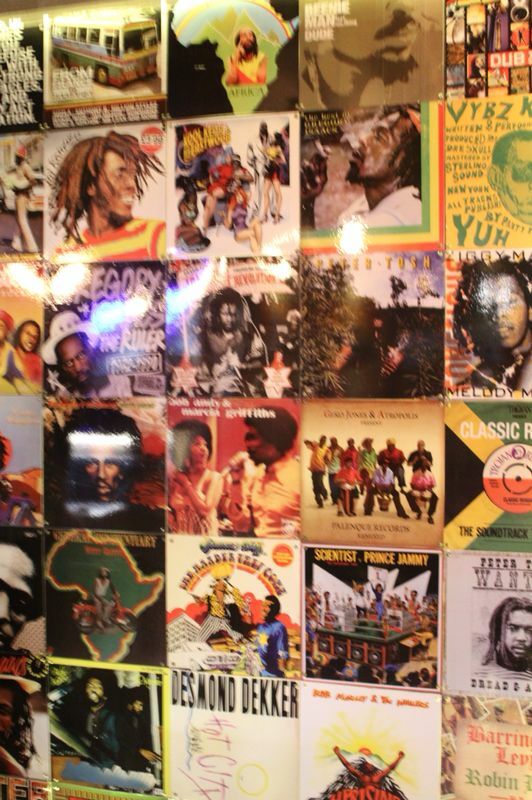 The area outside is done with wooden chairs and high rise tables, you will find Bob Marley pictures, wallpapers, paintings hanging from the wall, oh! They don’t have a wall outside; instead they have Bamboos incorporated as a wall which again gives you a total Caribbean feel. Another interesting thing you will find out is the collage of images done on one of the walls and the main wall is covered with ‘Bongs’ kept in metal cages with different lights. 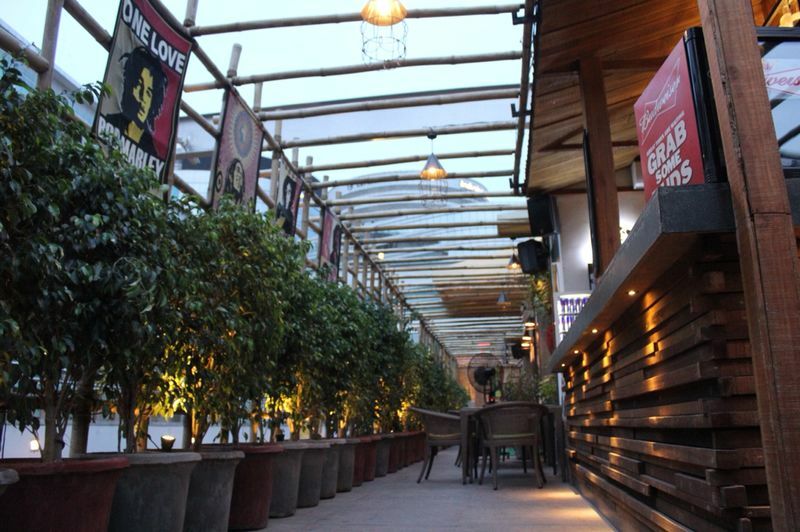 The décor is exceptionally good and everything has been done in keeping the theme of the restaurant in mind. Full marks to the Interior Designer. After absorbing the vibe of the place, I ordered the food. Jamaican chicken strips, Fish & Chips accompanied by three drinks (cocktails) out of which two were made right there by the Bar-tender and the third one was Sangria. Talking about food, the first thing which I noticed was the quantity they serve, it’s Huge!! Well prepared, decorated and served with a smile. The second round of food was served after chatting up with the head chef of Raasta, Mr. Anil who discussed about the countries, cuisines and how he incorporated the international flavors in his food, while keeping Indian audience in mind. Tenderloin steak and Pasta Arabiatta was served and this time on my personal request they decreased the quantity or else I would have been full till neck, thanks to the yummy food they served. 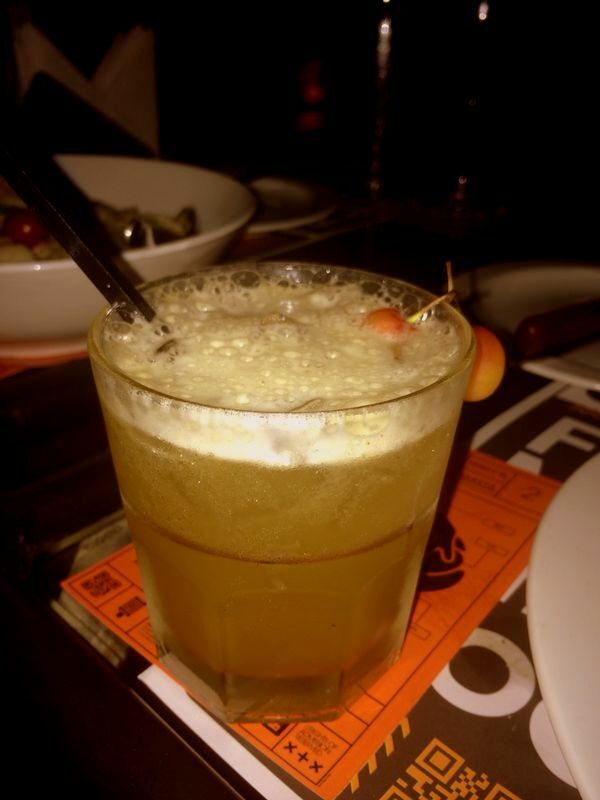 Next came were the two entirely opposite drinks just to tamper the taste buds. Virgin Mojito and Sour Jack Daniel’s (without egg). The Sour JD was my favorite out of all and Virgin Mojito was just as opposite, a Big NO. Jamaican Chicken strips: well cooked, crisp on the outside and chewy on inside, the red chilly Jamaican dip can open your taste buds, ears and nose totally. Accompanied with salad, tangy in taste and this doesn’t over power the taste of chicken as well. Fish and Chips: one of the best fish and chips I’ve had, cooked to perfection served with tartar dip and fries. This is the safest bet if you’re scared to try anything new. Tenderloin steak: I ordered for medium rare and yes, I got the same unlike many restaurants which either makes it rare or medium. Served with mashed potatoes and dip this is a delight for a meat eater. Next time you’re at Raasta do order this dish and please mention how you want them to prepare it. Pasta Arabiatta: I’ve had better pasta than this one; too much of salt and tasteless white sauce also the amount of chicken was nearly zero. You can get much better ones at many places. Order at your own risk. Miracle: amalgamation of sweet lime, Bacardi white rum, fresh fruits, sweet and sour, this was a drink especially made the bar tender for me at the very moment. 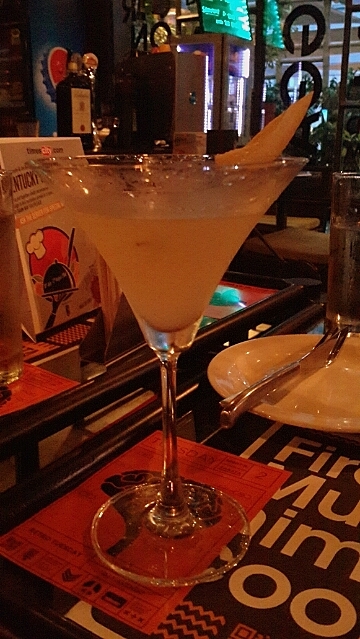 Right amount of Bacardi and minimal taste of fruits made the drink perfect for an early evening or a drink you’d want for yourself after work. This is not on the menu but I hope they add it now. Raasta special: with Gin as a base of the drink, it might hit you a little hard if you don’t have a taste for the alcohol, combined with rose marry syrup and a bit of peach flavor this again was a new found drink by the bar tender. You can have only if you have a taste for Gin. 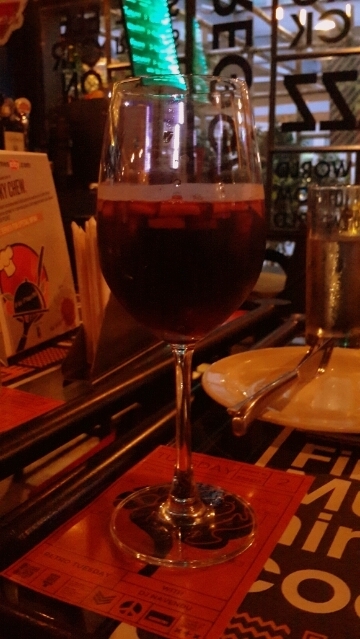 Sangria: highly avoidable, just like most restaurants even raasta makes fresh sangria whereas it should be made in advance. The older the wine the better. 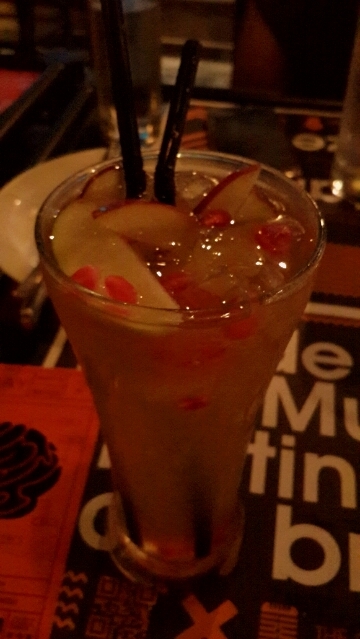 Sour Jack Daniel’s: a win win drink, this drink won my heart. Perfect balance of everything and for someone new to whiskey this might be a good way to get your hold on the drink. 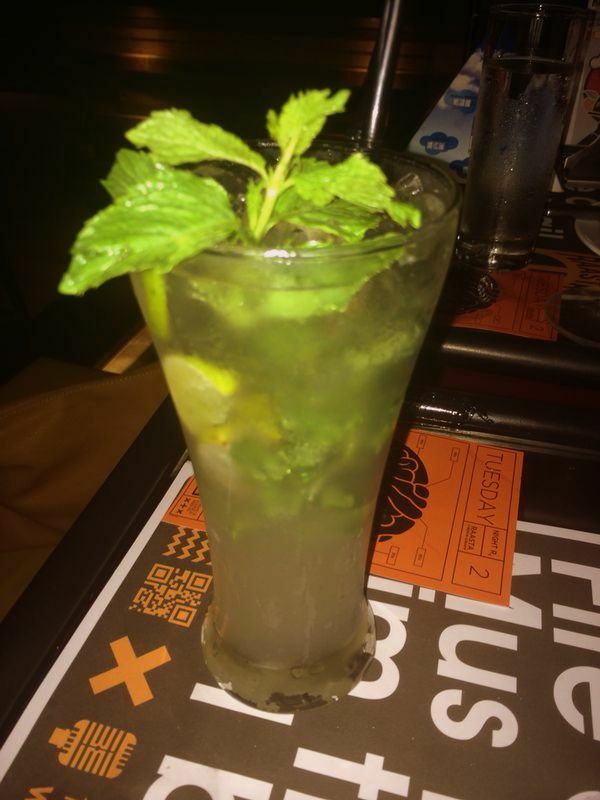 Virgin Mojito: This drink was complete fail. It tasted nothing more than a fresh lime with just a pinch of mint. Avoidable! In all, the place won’t disappoint you at all. If in Cyber Hub must visit this lounge if you’re looking for something different and refreshing other than the regular hangout places.